Cancer, as a broad spectrum of disease, is currently one of the leading causes of death worldwide (1), and is responsible for 30% of all deaths in Canada — more than any other disease or possible cause (2). Ovarian cancer specifically was estimated to have 2800 new cases and 1750 deaths in Canada (3), and 22,280 new cases and 14,240 deaths in the United States in 2016 (4), according to the Canadian and American Cancer Societies. The thing is, ovarian cancer is not silent, but quiet. There is currently no one reliable test: smear tests do not pick up malignant cysts, and even CA125 blood tests often give false negatives. (6) Another issue is that many of the symptoms are mistaken for other diseases, such as IBS (irritable bowel syndrome), leaving early stage tumors undiagnosed until they reach stage 3, where they can present as lumps in the abdomen and pelvic area. If you notice you are getting bloated consistently and often (frequently happening for more than three weeks), where you weren't before, this could be a sign of cancerous tumors growing. 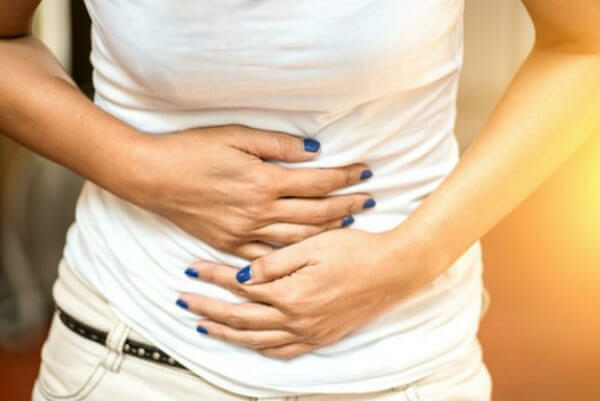 All of these symptoms can easily, and often are, mistaken for issues and diseases with the Gastrointestinal tract If you find yourself experiencing any of these symptoms when you weren't before, it is important to monitor their frequency and persistence. If they don't go away after three weeks or more, make an appointment with your doctor to talk about getting checked for Ovarian Cancer.